This application is for any gun owner! 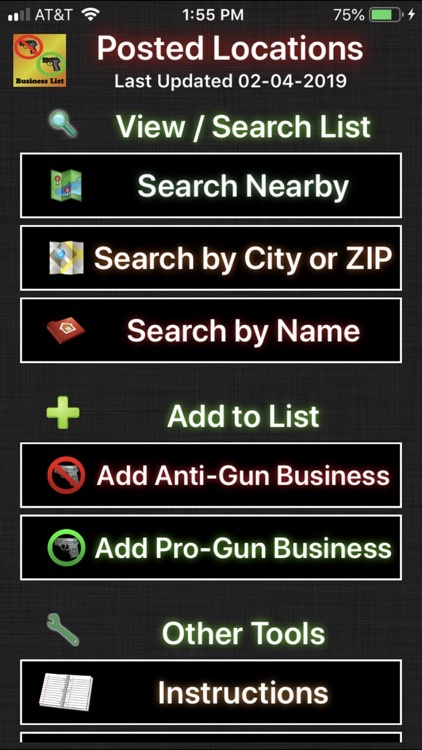 The purpose of this app is for the legal and conscientious concealed carry license holder to know where they cannot legally carry before getting there. A licensed permit holder or a resident of a constitutional carry state can usually legally carry their firearm in any location other than statutory "no carry" locations such as schools, gov. 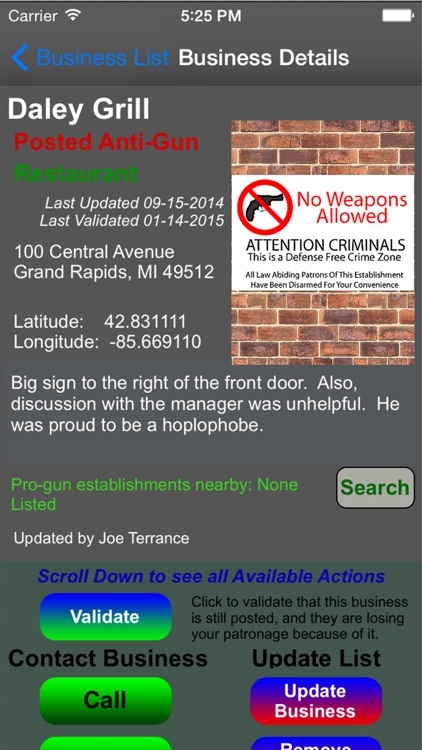 buildings, etc., and in businesses that are posted prohibiting firearms. 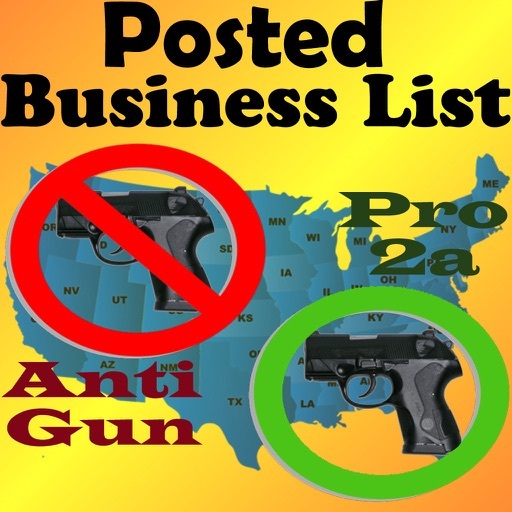 This is a list of those Posted Anti-Gun businesses. 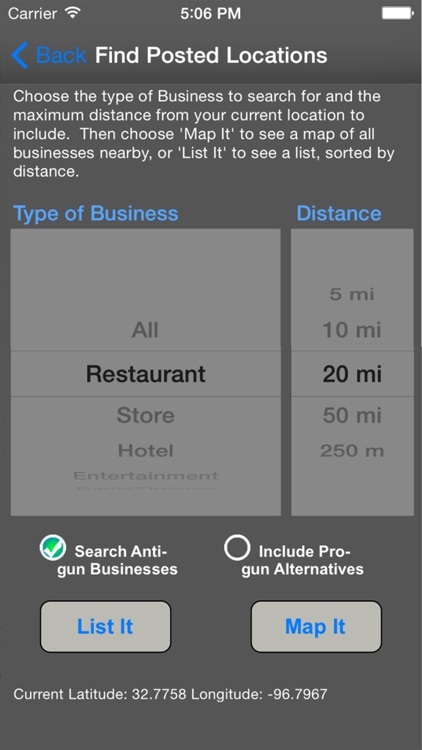 This #1-selling app of its kind (both on Apple App Store and other platforms) already includes over 19,000 current anti-gun locations and 15,000 pro-2a alternatives. Find hotels where you can’t carry before booking a trip to one. Find restaurants where you cannot carry before making dinner plans. 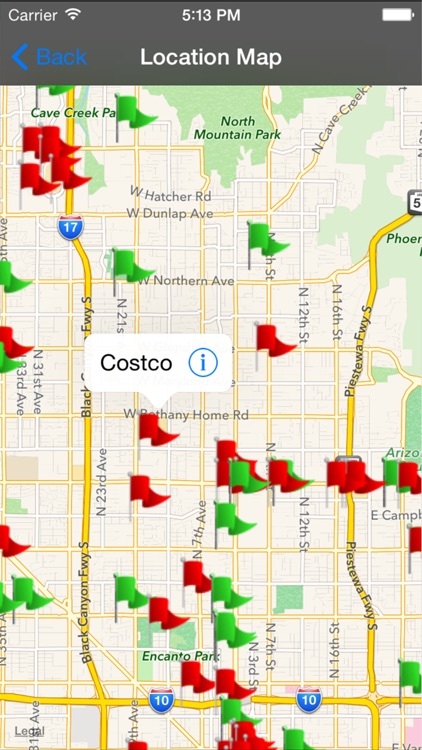 Find stores to avoid before you step out the door. It is extremely inconvenient to not find out until you get to a location that they prohibit your second amendment rights. You have to either disarm in the parking lot (causing your vehicle to be a target for thieves) or go somewhere else at the last second. If you know beforehand, you can avoid the places that prohibit carry, or you can leave your firearm at home if you must attend. We have a comprehensive list of "Posted anti-gun" locations collected in Alabama, Arkansas, Arizona, California, Colorado, Florida, Georgia, Illinois, Indiana, Iowa, Kansas, Kentucky, Louisiana, Michigan, Minnesota, Mississippi, Missouri, Nebraska, New Mexico, Nevada, North Carolina, Ohio, Oklahoma, Pennsylvania, South Carolina, Tennessee, Texas, Virginia, Washington, and Wisconsin. We have assembled smaller lists in Alaska, Connecticut, Delaware, Idaho, Maine, Maryland, Massachusetts, Montana, New Hampshire, New Jersey, New York, North Dakota, Oregon, South Dakota, Utah, West Virginia, and Wyoming; provided by many great gun forums and sites with their permission. Since it is crowd-sourced by users like you, please help the list continue to grow! 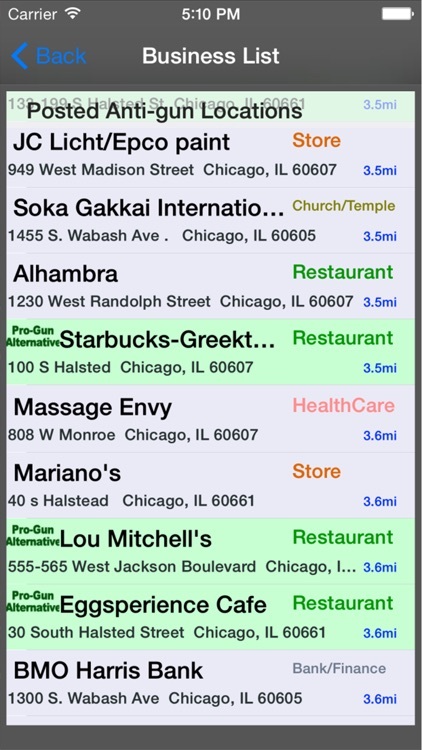 The app also includes the option to add pro-gun alternatives that do not prohibit carry. Search for pro-gun substitutes to the anti-gun businesses. Easily add new ones to the list every time you experience firearm-friendly (or neutral) service. This app includes the easy ability to take action. Call or email a listed business to let them know your opinion! Laws regarding signage, and prohibited locations (no sign needed) vary by state. 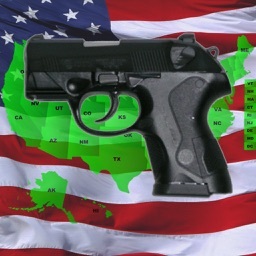 To understand your state’s specific laws, download "CCW – 50 State Guide" (http://itunes.apple.com/us/app/id443321291). This list is user-updated, and will continue to get better over time. But this relies on you! 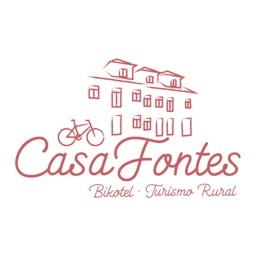 If you go to a place not on the list and they have a sign, please add it with a few clicks via the "Add a Business" button! If a place had taken down their sign, get it removed the same way! 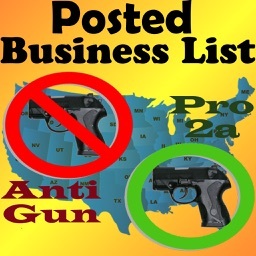 If you already have a list of anti-gun businesses in your area or state, send us an email. We would love to include any data you have collected, and give you credit for it! If you experience any bugs or issues, please email (using the "Feedback" button) before leaving app feedback. Disclaimer: This application implies no warranty regarding the ability to legally carry in any locale or situation and does not constitute legal advice. 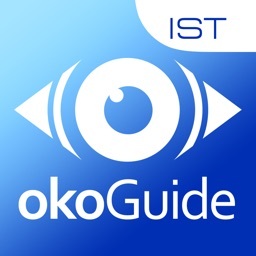 Every user is responsible for knowing and abiding by the laws in his or her state. Some areas are illegal to carry by statute, even without signage. If unsure, contact local law enforcement or legal counsel. 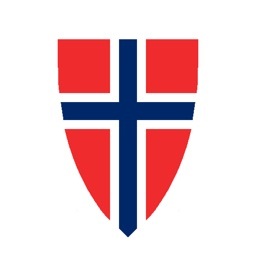 All information provided is simply the opinion of various users who added the location. By downloading and/or purchasing the application, you agree that you assume all risk and are responsible for confirming legality and abiding by all firearm laws. Please see full Disclaimer on Developer Website (below). This application was built by Nantz Consulting & Workman Consulting LLC.